You may have read a lot about millennials, also called Generation Y, on our blog recently. Born between 1981 and 1997, millennials are a big group. As a generation, they face a different set of health care issues than the generations before them. And so will their employers. Why do these changing health care trends matter? Because health issues in younger people can help predict how health care needs will change in the future. Also, millennials now make up more than one-third of the American workforce. If millennials’ health care needs are left unaddressed, they could take a toll on the generation that’s steering the future of our economy and the health care system. As health care needs evolve over time, employers can adjust benefits and health programs to meet the needs of a changing workforce.Here’s a deeper dive into three millennial health care trends employers may not be aware of, and what they can do to help their Gen Y employees. Rates of mental illness are rising regardless of age. But, millennials are being diagnosed at a much higher rate than other generations. It’s unclear whether this rise in diagnoses and treatment is due to reduced stigma around mental illness. But the fact is, mental illnesses cause more lost days of work than any other chronic health conditions. Data from Blue Cross and Blue Shield of North Carolina (Blue Cross NC) shows that rates of depression diagnoses have risen 171 percent among millennials since 2010. Nineteen percent of millennials have been diagnosed with depression, compared to 14 percent of Generation Xers and just 12 percent of Baby Boomers. Twelve percent of millennials have been diagnosed with anxiety, compared to 8 percent of Generation Xers and 7 percent of Baby Boomers. As many as 45 percent of mental health cases go untreated in the U.S. each year. That’s a price tag of up to $147 billion per year! Preventive care is still the best way to avoid costly medical expenses down the road. 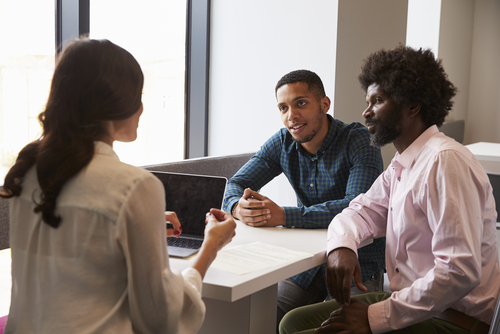 Employers who offer health insurance with mental health coverage give their employees the ability to seek treatment earlier. Educating employees so they can recognize the mental health symptoms in themselves and their coworkers. Encouraging conversation around stress and other issues that are placing a burden on employees’ mental health. Being consistent in discussing mental health as a real, common and treatable illness. Discouraging language that stigmatizes mental illness or treats the conversation around mental health in a disrespectful manner. Investing in mental health benefits and developing programs to help employees manage their stress and mental health. Raising awareness about health services available through Employee Assistance Programs (EAPs). Here’s an example of a company that’s doing this well: DuPont teamed up with experts to develop an internal mental health campaign. The campaign included a video from experts teaching employees how to ask appropriate questions and be sensitive to mental health issues. Due to listening to personal audio devices at unsafe levels, 1.1 billion teenagers and young adults are at risk of hearing loss. Hearing loss rates among teenagers are about 30 percent higher than they were in the 1980s and 1990s. Forty-six percent of teenagers already have symptoms like occasional ringing, roaring, buzzing or pain in the ears. Fortunately, noise-induced hearing loss is the only type of hearing loss that is entirely preventable. Educate employees on safe listening practices and the dangers of prolonged exposure to loud noise. Encourage the “60/60 rule” for everyday headphone use. Keep your audio device volume at 60 percent of the maximum and don’t listen for longer than 60 minutes. For louder noises, limit exposure to noise around 100 decibels to no more than 15 minutes. This is about as loud as fireworks, concerts or headphones turned all the way up. Encourage employees to share any concerns about potential hearing loss with their doctors during their annual physical exam and follow the doctor’s orders about turning down the volume. Although skin is the largest organ in the body, it’s often one of the last things people consider when it comes to physical health. Unfortunately, this has resulted in skin cancer becoming the most common type of cancer in the U.S., with more new cases each year than breast, prostate, lung and colon cancers combined. Melanoma rates in the U.S. have doubled over the past 30 years. Encouraging employees to perform monthly head-to-toe self-exams. Creating sun protection policies for employees who frequently work in outdoor or sunny environments. Forming partnerships with organizations that are committed to keeping communities sun safe. Encouraging employees to use their health insurance to get an annual screening at the dermatologist. For many insurance plans, the screening is free. One in five Americans will develop skin cancer over the course of a lifetime, so it is more important than ever to educate younger employees about the risks of UV exposure. The health of a business depends on the health of its employees. A company with unhealthy employees can experience high turnover rates, lost productivity and low employee satisfaction. Employers who promote health and wellness in the workplace tend to experience fewer people out sick or coming in to work sick. Most importantly, helping employees address their health care needs through preventive care will reduce health care costs for employers in the long term, while keeping your workforce healthy. The Blue Cross NC internal data in this post was provided by Blue Cross NC team member Kaaviya Kathirvel. Kaaviya is an Informatics Analyst Associate with Product Experience and Brand Team, Enterprise Analytics. She provides consultative and analytical support to Marketing Team on projects related to Consumer Behavior and Experience.